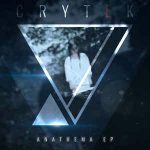 Genre/Influences: EBM, techno-body, industrial, experimental. Background/Info: Belgian implant duo is back after a new hiatus of 4 years. “Oxynoxe-X” is the 10th full length for mastermind Len Lemaire in 21 years. Content: It remains a very hard job to define the sound of Implant and especially when the band accomplished one of their most diversified works in history. “Oxynoxe-X” rather sounds as the fusion between an impressive sonic canvas instead of a real music genre. 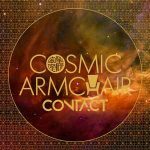 From typical techno-body & trance-driven passages in the truest spirit of the band towards more minimal-like and industrial elements to sophisticated EBM treatments this work is bringing retro-like songs together with pure modernism. Implant still likes to work with guest singers and now invited Solitary experiments front man Dennis Schober to sing on one song. The limited edition features a more conceptual work, which is inspired and driven by modular synths. It’s an instrumental album revealing the hidden, experimental side of the band. + + + : “Oxynoxe-X” sounds to me like the most versatile work of Implant, but still (one more) noticeable album on, which the band also sounds like experimenting with new ideas. One of my favorite cuts is the minimal-like “The Decay”, which makes me think of a sophisticated and elaborated version of Dive. The progression of the songs and especially the great sound treatments and numerous little effects remain the trademark of this band. Len Lemaire is one of those sound alchemists who create unique, ‘fat’ sounds. Just pay some attention for “The End”, which is a little sonic jewel and somewhat in the vein of Komor Kommando. – – – : Implant always has shown certain experimental approach in their work, but what they’ve featured on the second disc is really surprising. It sounds more into pure sound creation resulting in a somewhat abstract composition. I like some of the tracks, but this album will definitely not enter into history for being too unsusal and less implant-like. 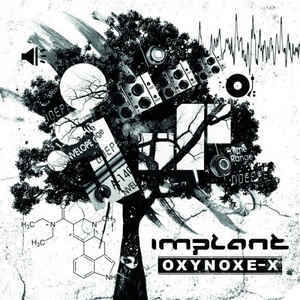 Conclusion: The limited edition of “Oxynoxe-X” stands for a great main disc confirming the endless creativity of Implant and a completely abstract bonus disc, which probably means more for the band than their fans. But this new opus however is one of their best albums! Best songs: “The End”, “The Decay”, “I’m Not Your Enemy”, “The Taking”, “Images” + “I Sometimes Dream Of Imaginary Parties To Meet New People”.